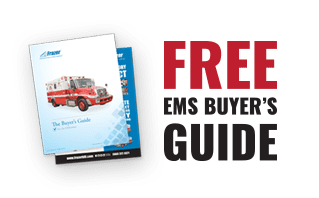 Frazer Highlights - Wise County EMS - Frazer, Ltd. Check out this Type I 14 ft. Frazer unit for Wise County EMS! This unit has a RAM 4500HD diesel chassis, a door forward layout, MEPS generator and LiquidSpring suspension just to name a few! Also look out for the GoLight LED, Whelen Howler sirens and Firecom wireless headsets!